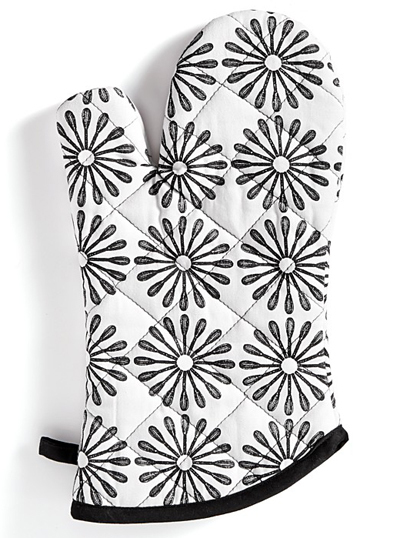 Dressed up in a fun & vintage-inspired kitchen utensil print, this What’s Cooking Oven Mitt is the perfect companion for getting the job done right. $9.99. Buy here.